Description: In-flight photo of the NASA F-15B used in tests of the X-33 Thermal Protection System (TPS) materials. Flying at subsonic speeds, the F-15B tests measured the air loads on the proposed X-33 protective materials. In contrast, shock loads testing investigated the local impact of the supersonic shock wave itself on the TPS materials. 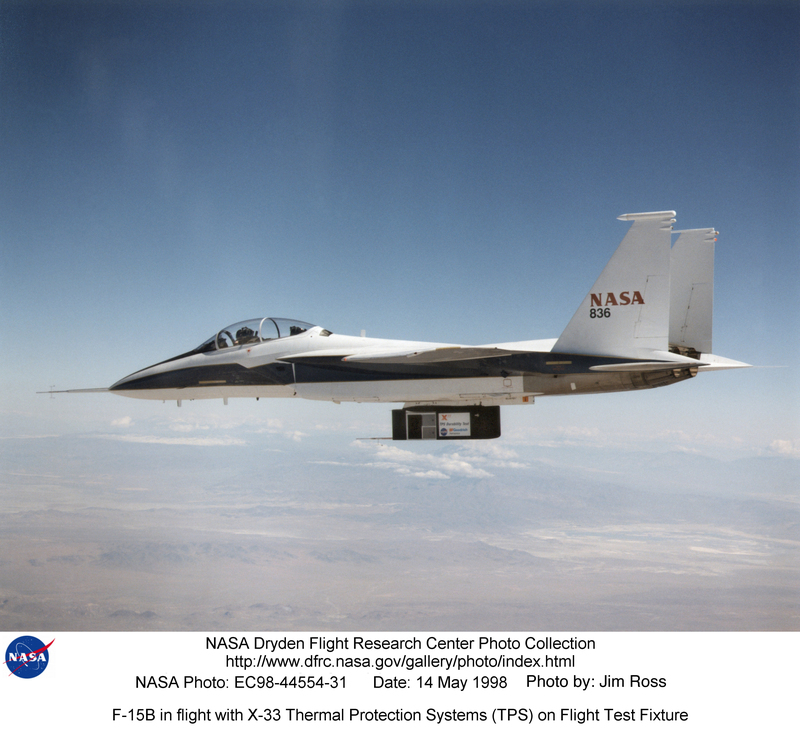 Similar tests had been done in 1985 for the space shuttle tiles, using an F-104 aircraft.